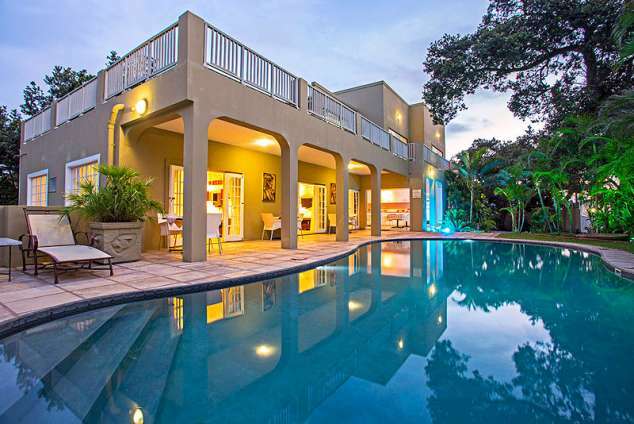 2 Trevor Place, La Lucia, Kwa Zulu Natal. Caza Beach Guest House offers four-star accommodation and comprises seven luxury rooms, each of which overlooks a beautiful indigenous garden with a sparkling pool for those warm summer days. Each room comes with private access, as well as an array of other facilities. Have a look at our Rooms page or click here for more details. The guest house is conveniently situated a mere 20 metres away from the beach and there are a number of local attractions to engage in. As a four-star graded venue, we are dedicated to offering you the very best in hospitality and making your stay a memorable experience.